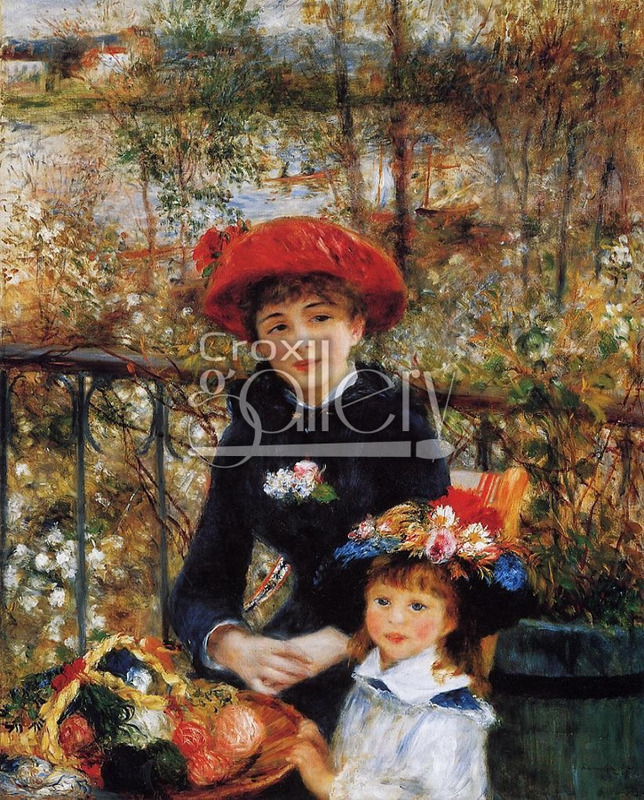 "Two Sisters" by Renoir, Oil Painting Reproduction. 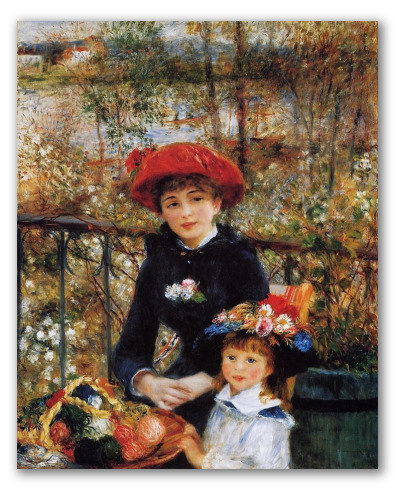 The Impressionist painting "The Two Sisters on the terrace" was created by Pierre-Auguste Renoir in 1881. Experts claim this to be one of the artist's most important works. A clear example of the artist’s talent, it features a perfect execution of vibrant colors applied with different brushes. Currently on display at the Art Institute of Chicago.